(CBS News) We love us some animals here at The Feed. So let's take a moment to honor a few of our favorite household pets with two videos showing some fun with dogs and cats. Up first is a first-person perspective video of a dog playing in a pool above. Go grab your towel, and check it out. 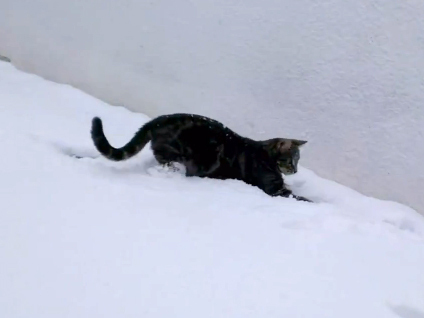 And switching gears in terms of both species, weather and setting, we have an adorable overload video for you below from YouTube user jefcharles of a cat named Fletcher experiencing snow for the first time. Put on your coat, and watch and see how he reacts to the winter-time experience.